The holidays are here and Christmas is right around the corner. A refrigerated truck, van, and trailer play an important role during the holiday season. Many people may not realize it, but the cold, sometimes freezing temperatures can negatively impact the products and services being delivered. Don’t let your merchandise go to waste, consider a top of the line refrigerated truck, van, or trailer. What if you couldn’t deliver flowers to friends and family over the holidays? 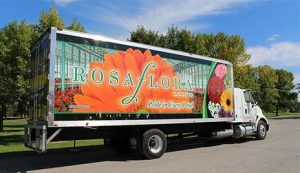 Floral companies take advantage of refrigerated vans and small reefer trucks because controlled temperatures play a part in the life of the plants. Temperatures that are too hot or too cold can result in wilted merchandise, causing huge losses. Don’t put the goods at risk, take a look at Advanced Temperature Control for refrigeration solutions you can trust through the rough winter months. 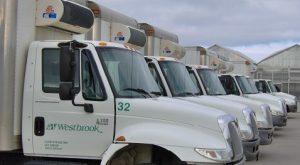 Rosa Flora and Westbrook Floral Ltd for instance, use ATC’s refrigerated trucks to deliver festive flower arrangements to patrons wanting to wish someone special a Merry Christmas. 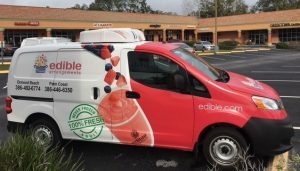 Floral and food delivery companies also take advantage of refrigerated vans, trucks, and trailers for perishable bouquets. For example, the popularity of fruit and candy bouquets continues. If the proper temperatures are not maintained, dessert bouquets would be ruined, such as chocolate covered strawberries and yogurt dipped peaches. Candies would melt, fruits would sour, small businesses would lose money and customers would be disappointed. With the winter months upon us, consumers are starting to look more into ordering their food online for home delivery. Today, you can simply go on your smartphone, click on an APP and order groceries or meals for breakfast, lunch, and dinner. Refrigerated mobile solutions today are capable of maintaining dual temperatures for products that require different settings. Perfect for businesses that need to deliver hot meals while managing to keep desserts frozen. Fresh produce, seafood, and meat delivery all utilize refrigerated trucks, vans, and trailers to maintain the quality of their goods. Foods like fruits, vegetables, salmon, shrimp, beef, and chicken are all temperature sensitive. They require controlled environments to prevent any bacterial growth. Foodborne illnesses are a prime example of why it’s important to use a reliable refrigerated truck. Food and safety are a priority concern when it comes to perishable goods and delivery. Bacteria growth on foods could cause serious food poisonings such as salmonella, listeria, norovirus, or E. coli. Finding reliable refrigeration solutions does not have to be a hassle when taking into account these illustrations. At ATC, we stand by our refrigeration solutions and can help folks who are new to reefers or people seeking to upgrade their fleet. It’s important to understand what kind of vehicle would best suit your business needs. 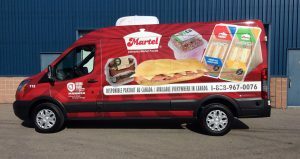 Some businesses need refrigerated vans and other company’s require refrigerated trucks to transport larger products. These units are commonly used for small or medium-sized refrigerated trucks, vans, and trailers. These units are smaller than roof-mounted ones and are installed on the front-end of the chassis. An installation like this gives you easier access to take care of any maintenance needs. 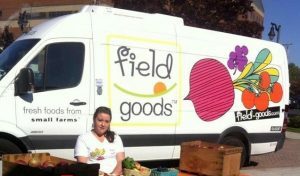 Some examples of companies that utilize nose-mounted refrigerated trucks are floral delivery and frozen meal delivery. These type of units are typically used for large refrigerated trucks, vans, and trailers. Although they are larger than a nose-mounted unit, the power required is necessary to maintain controlled environments for larger deliveries. Some companies that would utilize a roof-mounted unit are; dairy delivery, frozen meats, seafood, fish, and poultry companies. 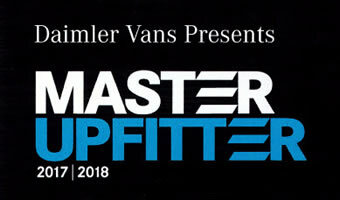 These units can also be used on large vans that have been upgraded with extended roofs or for small cargo vans. Small catering businesses and food vendors often use these types of units for their refrigerated truck or van. ATC offers over 27 years of experience with refrigeration solutions and has the expertise to help small and large businesses alike. Our experts can help you find the right refrigeration unit to meet your delivery needs so you are ready for deliveries over the holiday. 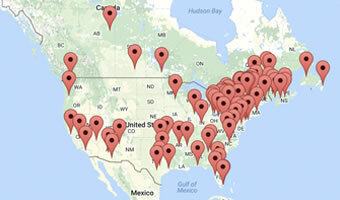 Contact us today to learn more about our products and services. © 2019 ATC Truck Refrigeration.